In the past, it was acceptable for people to be hanged in Australia, only ending in 1967. It was also acceptable for school children to receive corporal punishment up till the 1980’s. These are now unacceptable to Australians by law. or values view point. Understandable yes just not acceptable. that we can watch out for (once agreed) to help each other to maintain a more moderate mood. The precursors that helps make anger understandable to me (all begin with A) and are a lack of: Adjustable, Accountable and Acceptable language, while stating our point. And responding with a lack of Appreciation, Acknowledgement and Apologia, especially when we are not in agreement. I think that these signs are there for us to help each other keep our mood to a moderate level below what we normally call anger. 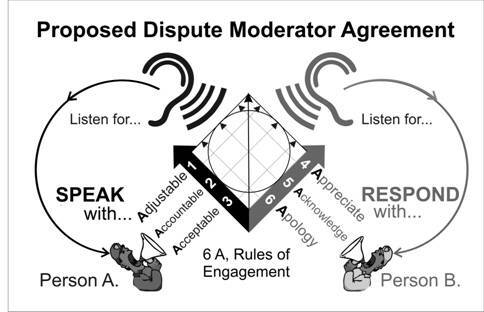 By agreeing that anger is unacceptable we then are agreeing that we are accountable to each other to help maintain a moderate mood at all times. I think that anyone that maintains that anger is acceptable to their own specific level or degree, are keeping their options open to justify their own anger at a future time and place. I also think that they will attract partners that also believe that their own anger also is acceptable to their own degree, but different to each other’s.